Mediocre acting performances treated as legendary run rampant throughout film history. It adds to a film’s mystique when a consensus concerned critique deems a performance more than merely marginal — it elevates the lore to must-see status for film novices, and will often be included on best-of lists by more seasoned viewers. Reputation begins to precede its merits and once a film reaches this status, merited or not, subjective review loses meaning. It becomes too popular to deride for fear of contrarianism. This list runs deep, especially among Best Picture nominees. Of the 529 films nominated (so far), a reasonable guess might be a quarter to a third of them are marginally worthy at best in contemporary and extracontemporary context. The script is fine, the directing serves a purpose, and the vision is reasonably well executed. But the performances, for some reason, are marketed as glimmering and transcendent and the industry eats itself. Exemplifying this point seems counter-productive, but I’m often looking at Russell Crowe. One of a handful of performances that shreds this thread is Anthony Hopkins as Hannibal Lecter in The Silence of the Lambs. This performance is so outrageously chilling and so magnificently acted that no amount of overreaction to it seems unreasonable. If a critic were to write that Hopkins as Lecter is the best Best Actor, this critic would not argue it. Only George C. Scott as General Patton in Patton, Ernest Borgnine as Marty in Marty, or Daniel Day-Lewis as whichever character’s skin he’s wearing, would near Hopkins’ heights. Even more incalculable is that Hopkins completely dominates this movie as a spectre — he’s only on screen for a handful of minutes but manages to seep into every conversation during the movie, and is what most viewers continue to talk about after the fact, never mind Jodie Foster’s good performance as FBI Agent. Hopkins/Lecter has surpassed words. Audiences then and now turn to a specific, stuttering seethe that’s usually paired with fava beans and a nice Chianti. This type of characterization and embeddedness is rare in modern society. Where competing for entertainment bandwidth has become a no-win bloodsport, that a decades-old movie “quote” sticks to the lexicon. It is a tribute to Hopkins and his enduring legacy. 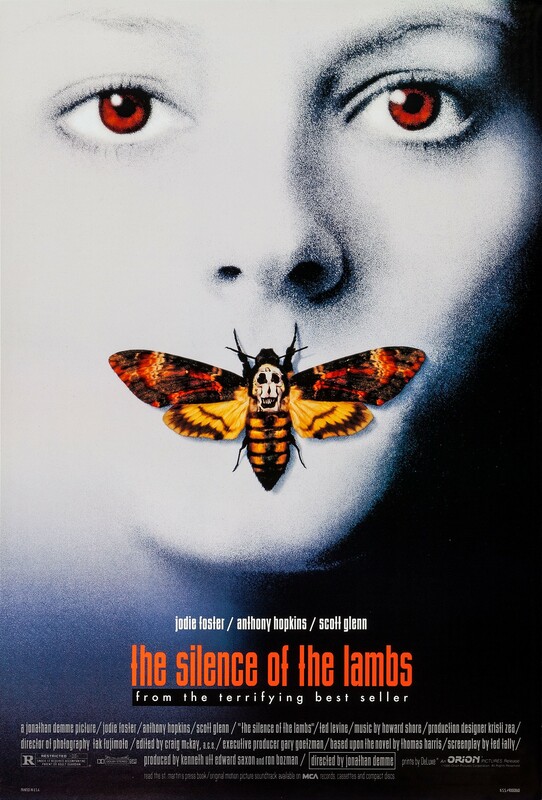 First: The Silence of the Lambs director, Jonathan Demme, has characters deliver important dialogue straight to camera. It’s used to various effects throughout his filmography, but probably best here. Not only do you have Hopkins delivering his dialogue essentially directly to the audience, but the character isn’t one to avert his eyes in conversation – when he’s looking at you, he’s looking into your soul. It’s a villain appearing on film in an entirely new way. Next, His screen time has no fluff — he’s only present for plot points, so everything has weight. Further, a lot of his character is in what you don’t see — the way he’s discussed in the first scene suggests a monster, and then you meet him and you can tell he is one. His crimes, except for during his escape, all happen off screen, and he is all the more terrifying because of it. Finally, and most aptly, contradictions in the character make it way more layered. He’s a serial killer who’s helping the FBI. He’s a monster he has a mannered way of speaking – even to the point of speaking Clarice like more of a human than the rest of the men in the film. She calls out her FBI superior in the film for treating her differently as a woman – but she never has to say that to Lecter. He’s a psychologist who is taking his turn being examined psychologically. All of these contractions make him really, really layered, and they’re not things a novice actor would find in the script and be able to play convincingly. In a way, he is able to deliver such an over-the-top performance because it rests on such a richly studied foundation. Matthew’s points make a compelling argument for Hopkins to have won Best Actor. We can argue forever about whether his performance is the best acting performance ever: does it matter that none of Day-Lewis’ films have ever won Best Picture? Almost no chance that any of the four other films nominated in 1991 win Best Picture, though JFK and Beauty and the Beast make for compelling discussion topics, and Bugsy and The Prince of Tides probably come nowhere close. This year must have been a shoe-in.